Above are various KAATSU arm and leg exercises performed by 5-time Olympic medalist Justin Gatlin who did his KAATSU workout together with Dr. Yoshiaki Sato, the KAATSU inventor, at his office in Tokyo. Gatlin warmed up with the KAATSU Cycle and learned his appropriate Base SKU pressure and Optimal SKU training pressure. He first wanted to work on his left leg because the timing and firing of his left leg was slower than his right leg. In this case, he first performed several KAATSU Cycles on his left leg only under an appropriate Base pressure of 30 SKU while finding his Optimal SKU pressure. He then untethered the KAATSU connector tubes and did a variety of normal leg exercises with the left KAATSU Air Band on his left leg. Both he and his coach were slightly surprised and happy with the results after removing the band. He then explained that his arms need to move faster in order to improve. So bands were placed on both arms and his Optimal SKU pressure was found using the KAATSU Cycle protocols. After several KAATSU Cycles, he became untethered from the KAATSU Master and proceeded to do arm exercises, both with and without the bands on. His body started to produce Human Growth Hormone, nitric oxide, VEGF (vascular endothelial growth factor), and beta endorphins as his level of CRP (C-reactive protein) started to decrease. All these factors enabled Gatlin to feel better. Many athletes describe this sensation as "feeling lighter or smoother - and faster." 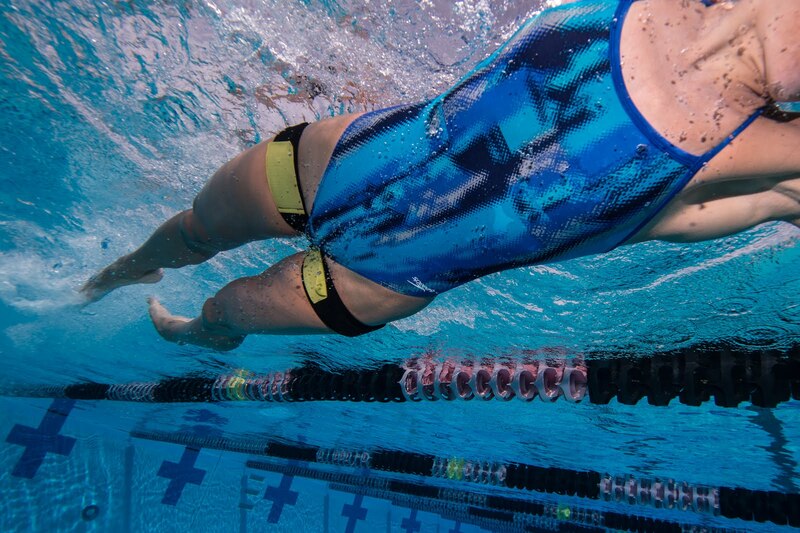 Additionally, if increased speed is desired or required, the athlete can be directed to do several KAATSU Cycles at increasingly higher SKU pressures on the KAATSU Nano or KAATSU Master 2.0 as they do specific movements. Then they can untether the KAATSU Air Bands and do normal training exercises as race pace. Olympic swim coach Chris Morgan prefers to focus his athletes on their 'race pain' rather than their race pace. "I want them to experience the discomfort that they will face in a competition. With the KAATSU Air Bands or KAATSU Aqua Bands on, they can almost always get to that feeling. 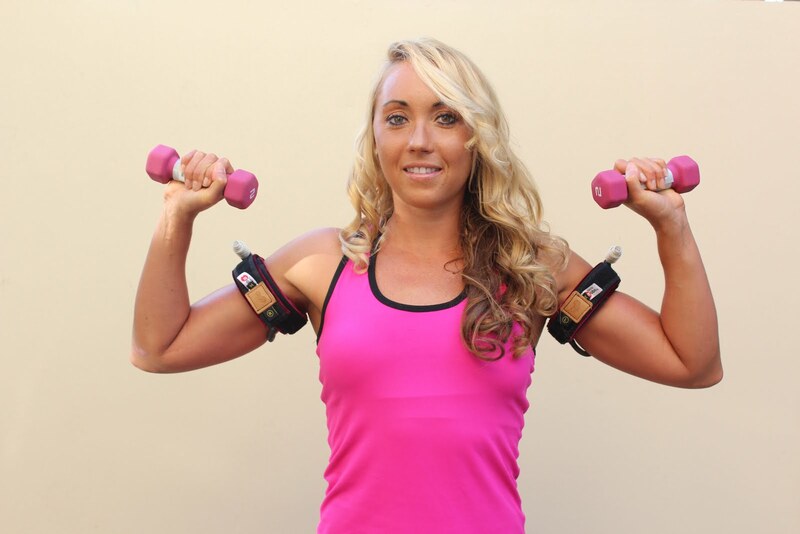 Over time, this helps them improve significantly as they start to be able to engage a greater percentage of their muscle fibers and deliver more blood to the exercising muscle as well as flush out the lactic acid more efficiently." Fundamentally, KAATSU applications are separated into three general areas. KAATSU protocols differ slightly for (1) Athletic Performance, (2) Rehabilitation, and (3) Recovery and Wellness. KAATSU is used in different ways to develop speed or stamina or strength or muscle size or to lose weight or improve BMI. Each of these goals has slightly different protocols. KAATSU is used together with basic physical therapy for people with broken bones, torn ligaments or tendons, or pulled muscles - and, very importantly, to eliminate muscle atrophy during rehabilitation and recovery. These protocols are specific with different applications of pressure and can include the CYCLE 20 or CYCLE 60. KAATSU is used for recovery from injuries, jet lag and the effects of sedentary living. When trainers and coaches focus on KAATSU Performance Training, they make sure the athlete is well-hydrated and start with 2-3 KAATSU Cycles. The pressure on for 20 seconds followed by pressure off for 5 seconds in sequentially higher pressures enables the athlete's capillaries and veins to become 'warmed up' (more elastic) and ready for more intense exercise. The KAATSU Air Bands are then inflated to the athlete's Optimal SKU pressure. If this is the first experience with KAATSU Performance Training, the athlete should start off conservatively (i.e., low pressure). Over time, they can increase their Optimal SKU pressure as their bodies acclimate to KAATSU. 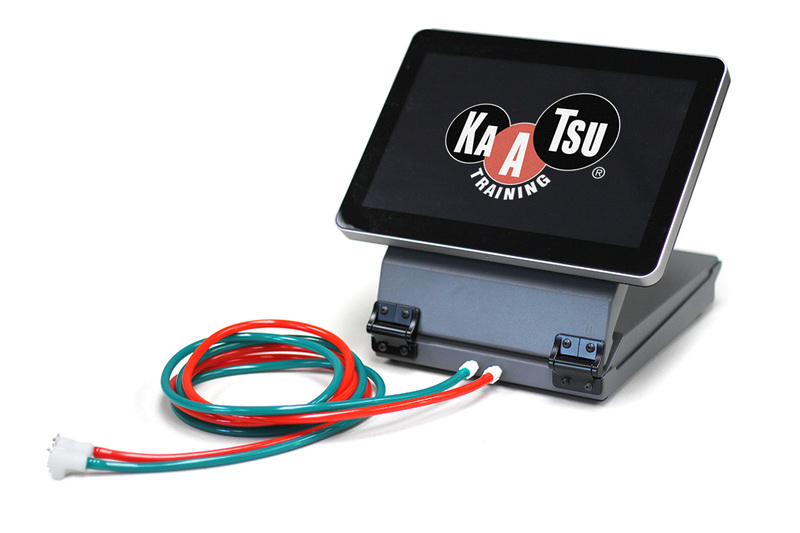 After the Optimal SKU pressure is reached, the athlete can untether (disconnect) the KAATSU Air Bands from the KAATSU unit and the athlete is free to move around the field. They should start off slowly and be comfortable, always checking their Capillary Refill Time. Quarterbacks can throw, linemen can come off the line (like sumo wrestlers do), receivers can run routes, and punters can stretch and kick. The athletes can do 5-10 repetitions of their motions (passes, routes, blocks or kicks). This will build up lactic acid fairly quickly in the muscles and their performance will gradually and slightly degenerate - so quarterbacks will throw with less of a zip, linemen and receivers will get very winded, and kickers will not be able to extend as normal). This is helping the muscle fibers get faster and stronger despite the athlete's increasing fatigue and decreasing performance. Then take off the KAATSU Air Bands (off either their arms or legs - never use both the arm and leg bands together). The coaches and trainers should allow the athlete to rest and hydrate a bit. Linemen and receivers will definitely need to catch their breath. Now the athlete should repeat the same movements (i.e., throws, blocks, routes, kicks) without the KAATSU Air Bands on. Their tactile feel should improve; their speed of movement should feel more fluid. Some athletes describe this feeling as being 'lighter'. KAATSU Performance Training can be done daily and can be limited to less than 10 minutes (i.e., without a big impact to the total number of hours they are practicing).